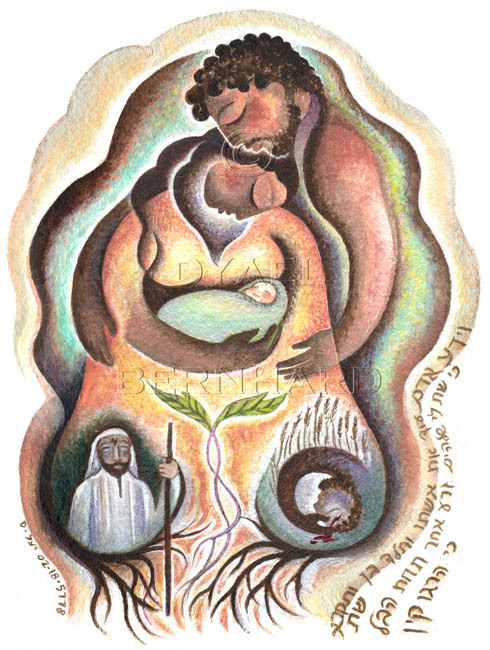 The Birth of Seth is the image for October in my new calendar, The Jewish Eye 5779/2019 Calendar of Art. I’ve also written and illustrated a work of historical fiction set in the Galilee: The Life of an Olive, my picture book that follows the 2000-year lifespan of a single tree, and the history that unfolds in its valley. I traveled to Israel four times to research this book, but it was my first reading of The Source that enabled me to understood the roots of religion – the beliefs of the ancient Canaanite farmers of the region, and precisely why they clashed with the desert nomads who were then known as Hebrews – meaning “donkey-riders” or “one from the other side”. The Hebrew people were wilderness nomads, lovers of open space and solitude, of travel and uncertainty, of land that knows no boundaries. It is this insoluble conflict that erupts between Cain and Abel. Cain is a farmer, a town-dweller, living a settled life in a tightly-knit, walled community, cultivating crops in a fixed place, employing both technology and faith to bring forth the fruits of the earth. 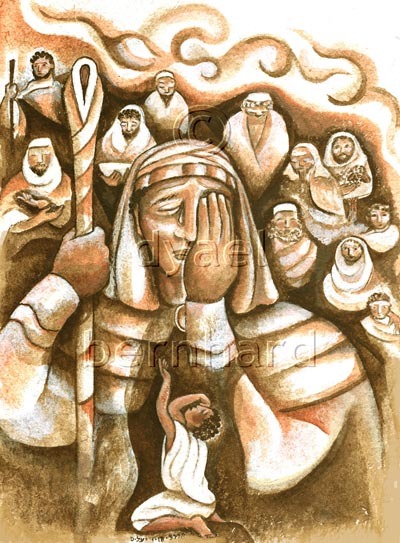 By contrast, Abel is a shepherd, eschewing land ownership to tend his flocks under open sky, finding his ancient god El Shaddai in his wandering, belonging to no community other than the belief in one invisible, unknowable, intangible and universal god. In the Book of Genesis, God states a clear preference for the fruit of Abel’s labors – both material and spiritual – and this Cain cannot abide, though God gives him a choice: to give in to his angry jealousy that crouches in wait, or to transcend it. Cain crumbles, and strikes his brother dead. My own third child came into my life like a gift from God after the conflict of divorce. With her, my life began anew. How many of us have felt the renewal of a new baby entering our lives? Even if it’s not our own baby, we cannot help but find hope in new life. In the rocky book of sibling conflict that is Genesis, I congratulate Adam and Eve on their third child, their renewed hope, and the promise given to all of us that there is something beyond duality. I celebrate the birth of Seth and all that he stands for. He might even be our most distant Hebrew ancestor. Go Seth! You are born of goodness and healing and the hope of resolution. 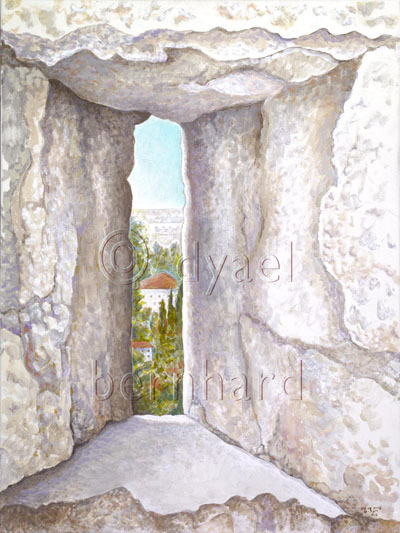 The Jewish Eye 5779 /2019 Calendar of Art is now available in my webstore and on Amazon. Please tell your friends about it! You don’t have to be Jewish, or use a printed calendar to keep track of your life, in order to enjoy having this unique art calendar. It makes a lovely gift.